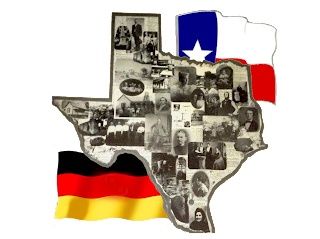 Germans first came to Texas in 1831, when Texas belonged to Mexico, but the movement really gained momentum in the 1840's, when the Adelsverein, whose longer name translated to the "Society for Protection of German Immigrants in Texas" assisted Germans to move to this promising land. In 1848 there was a revolution to unify Germany, and many of the German activists ended up in rocky, hilly central Texas and founded such towns as New Braunfels and Fredericksburg. They brought their language with them, which gradually evolved into a dialect known as Texasdeutsch, which was widely spoken in the area until World I made all things German rather suspect. Arguably no other nation had as much effect on how we celebrate Christmas as did Germany. From them we get the Christmas tree, which was probably proceeded by decorating fir trees in the wild and the Christmas pyramid such as the one pictured here in Fredericksburg. 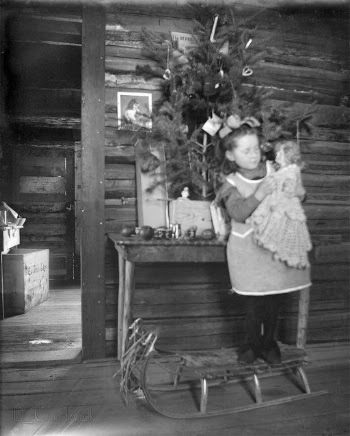 John O. Meusebach, the head of the Fredericksburg settlement, brought the Christmas tree to Texas even before Queen Victoria popularized it in England. From Germany we also get the custom of the Advent wreath and Calendar, and many of our beloved Christmas carols such as "Silent Night." Germans enjoyed putting together Krippenspiel or Nativity scenes, and holding Christmas markets, such as are still held in Germany today and in Fredericksburg on Thanksgiving weekend. What country or countries make up your ancestral heritage? How have the customs of that land affected the way you celebrate Christmas? 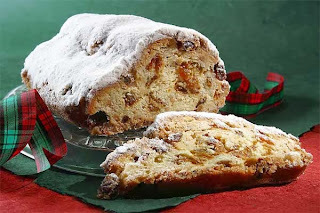 What dishes do you make that originated in other countries, such as German Stollen? As I said, I am giving away a copy of my latest Love Inspired Historical, HILL COUNTRY CATTLEMAN to one lucky commenter. Please check your email and the Christian Fiction Historical Society blog's sidebar in a day or two to see if you won. As always, if you've already read this book, you can check my book list to see which other of my books you want. As a fellow (mostly) German, I loved this post! 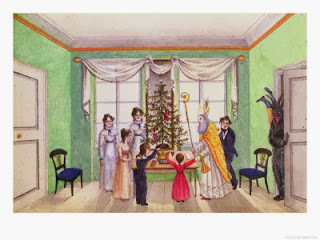 I never really thought about how many of our Christmas traditions come from Germany and it's really cool! 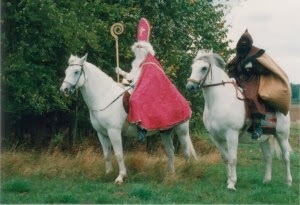 So since you have German in your heritage, do you celebrate St. Nicholas Day? We've always celebrated it but I have not found many other people who do! Abbi, thanks for commenting. No, we don't celebrate St. Nicholas Day. I confess I didn't know about it until I researched for this blog. :) Like most Americans, I'm such a mixture of many nationalities that I find Dec. 24th and 25th is enough for me. These were fascinating, fun facts. My grandparents were German. My grandmother used to make fruit cake and anise cookies. Once she passed they were no more. Both are time-consuming tasks, which is why my mother never learned how to do either. Real fruit cake is tasty and the jokes about the treat only apply to the dried out variety you can often get in the grocery store. Cindy, I must have never met a good fruitcake! Thanks for commenting. I have mostly German heritage. My 2nd son was born on December 6th, so his middle name is Nicholas. Many of our foods and traditions during the holidays have been handed down. Thank you for the reminder. Dorie, I'm glad you enjoyed the subject of this blog. I love the name Nicholas. I love learning new history, like this! As far as I know, I am of the Norwegian heritage with possibly some Viking and/or Irish blood flowing through me. I will have to do some research to see what the traditions are for those cultures. Never dawned on me to check it out before. Thank you for sharing about your German heritage. Joy, that's an interesting mixture you're made of! :) I think as Americans we're fortunate to have so many cultural hertitages to draw from. I have a lot of German heritage through both maternal and paternal great-grandparents. I've always loved the German traditions of Christmas. When I visited Germany, I loved their Christmas stores and bought a couple of nutcrackers there as well as beautifully hand carved wooden items. 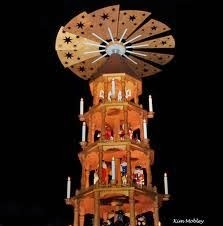 I couldn't afford a large wooden version of the tower you picture, but I did get a smaller one lights up and plays carols and it's prominently displayed every Christmas. I have my Grandmother's German Fruitcake recipe that is made with fruit preserves rather than dried fruit and it's delicious. Hi Martha, since you're in Texas are you able to visit some of the Christmas markets in the Hill Country? I'd love to visit Fredericksburg's. Thanks for commenting. 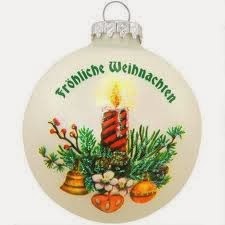 Laura, yes, I've been to the Christmas stores in Fredericksburg and bought some German ornaments there. The German areas in Texas have wonderful places with great food. The bakeries have some of the best German baked goods you'll find anywhere as well as other foods. Knowing German foods sure helped get the best in Munich and Augsburg. Wunderbar! I have a dear friend who grew up in Germany during WWll and is now visiting her grandson in Texas for the Christmas while recovering from an illness. I've sent them the link to your post, and know they will be thrilled to read it. Thank you for sharing, and merry Christmas! I really enjoy your books. My dad side of the family is all German. When I was little My Great Uncle would speak German. I was too young to pick up any except a word or two. My maiden name (Abend) means evening in German. Our church has a germanfest every year and it is nice to connect with the German heritage. Although on my moms side I am a mixture of everything. Barbara, that's neat to hear about your family. I was in Germany when I was about 18 mos. with my father who was in the Army--I wish I remembered it! Would love to go there some day. Thanks for commenting. Susan P, thanks for commenting. Yes, most of us are quite a mixture in the US. I have several of those same cultures in my background, too. Susan P, you are my winner! If you could please send me your snail mail address I will get the book off to you as soon as I can. I thought your blog was so interesting. I love to visit the Hill Country of Texas. 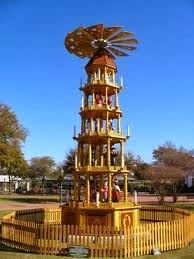 Fredricksburg, Texas is a great place to visit and there is a strong German influence there. Thank you for sharing and Merry Christmas to you and your family. Melanie, Fredericksburg is one of my favorite places in Texas too. I've never been to their Christmas market, though. Thanks for commenting.